Long Island's first cryotherapy center! Offering professional cryotherapy services at the most affordable rate in the NY area. 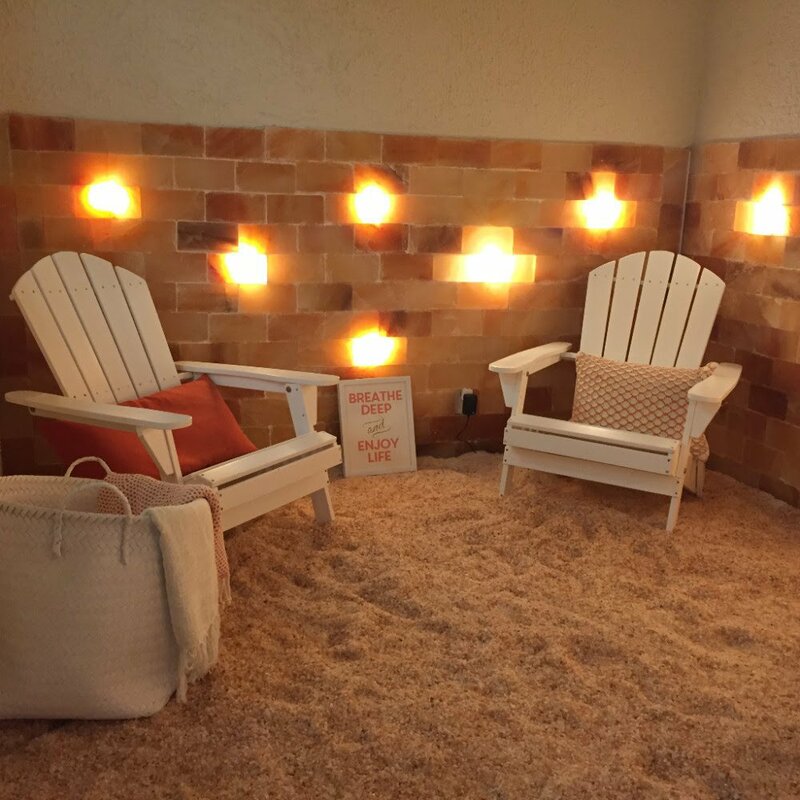 Clean your lungs, purify your skin, & clear your head in our state-of-the-art salt cave! Maximize your health and naturally increase your energy levels with cryotherapy today! Developed in 1978, a Japanese doctor invented whole body cryotherapy to treat pain and inflammation caused by Rheumatoid Arthritis. Once people realized the many benefits it could provide, cryotherapy quickly spread into Europe, where it began being used in hospitals, spas, and athletic facilities… But cold therapy is not a new concept. The use of cold as a therapeutic agent dates all the back to 3500B.C., where it was referenced numerous times in the Edwin Smith Papyrus, the most ancient medical text known to humankind. More recently, Whole Body Cryotherapy has been shown to help those recovering from injuries, inflammatory conditions, surgery, athletic performance, stiffness, soreness, and strenuous activity. It is now the number one preferred recovery method for most professional sports clubs. Cryotherapy is also highly sought after by those suffering from auto-immune conditions such, fibromyalgia, multiple sclerosis, Lyme’s, lupus, etc. Cryotherapy has also been shown to improve quality of life of those suffering from anxiety, and depression, as both disorders have close correlation with high levels of inflammation. Cryotherapy has been widely studied and has been proven highly effective for numerous different applications. All of our services are non-invasive & non-medical procedures for those who are seeking to naturally improve health and wellness. Although they can offer relief from symptoms plaguing the body, they are not intended to diagnose, treat, cure, or prevent any disease. Cryotherapy involves lowering the skin temperature for a short time to encourage a natural recovery response. The exposure to the cold stimulus activates the nervous system and causes blood vessels to constrict, shunting blood away from extremities and into the core, which can immediately reduce inflammation. Cold can also act as an analgesic, as it helps to slow down nerve conduction and pain signals. While in the core, blood is re-oxygenated and filtered of toxins and pro-inflammatory chemicals. When the brief two-to-three-minute session has completed, freshly oxygenated blood will rush through your body carrying nutrients and enzymes to speed recovery. The stock of healthy immune cells is increased, metabolism is boosted, and more mitochondria are generated, which can repair damage to DNA and produce more energy in the body. Cryotherapy also triggers the release of endorphins, natural anti-inflammatory proteins, natural opioids/pain killers, and antioxidants. These techniques are not the same as ice therapy. In fact, ice can often be uncomfortable, and prolonged exposure will do more harm than good. Mostly all of our clients agree that cryotherapy cold sensations are much more comfortable and much more effective than traditional ice therapy. Give us a call now at (833) CRYO-NYS to learn more about how you can benefit from our services!